SAGE India Digest: Why Customer is an undisputed king! Why Customer is an undisputed king! A key driver for financial success and longevity of businesses is the relationship with the customer; understanding their needs and what makes them successful, has been a key for successful companies to thrive for periods in excess of 100 years. An article in the Journal of creating Value elucidates that no company survives without the customers allowing them to survive. Since no company can exist without customers, embracing the customer as a valued asset should lead to longevity and market leadership. In other words, Companies are powered by customers whether they like it or not or they choose to embrace it or not. Companies must be able to anticipate needs and react to market changes more rapidly than their competitors. The article cites examples of some companies that survived for 50+ years and some that fell behind and died, one such example is Kodak which was once a market leader but later it fell behind in their market place; Kodak believed in a ‘coat by the mile and sell by the inch strategy’ as making and developing film was a profitable business. Even though a Kodak engineer invented the digital camera, Kodak chose to focus on the film business as it suited their internal needs and culture but did not focus on ‘why’ customers wanted to take pictures and what they valued in the process. On the contrary, IBM is famous for its turnaround from a market leader of computer hardware to a global leader in IT solution Services. IBM, in spite of deep financial problems at the time, was able to make this transition because its service relationships with their customers allowed them to learn more about their customers markets and industries. The more they understood, the greater the breadth of services they could offer. The findings of this article suggest ‘relationship’ to be the most valuable attribute that company could provide to its customers. Relationship in business is not about brand value, brand awareness, linkages on social media or knowing the name of your customer’s dog. Relationship in this context is knowing what makes your customer successful in terms of positive outcomes when they engage your company and how you contribute to the value outcome. Your customers evaluate your performance everyday by how they choose to spend their money. They hold the power and are your most valuable asset. 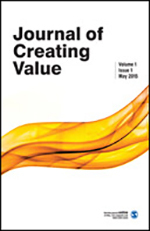 Click here to read Powered by Customers: Relationship Is Key to Surviving 100 Years in Business from Journal of Creating Value!